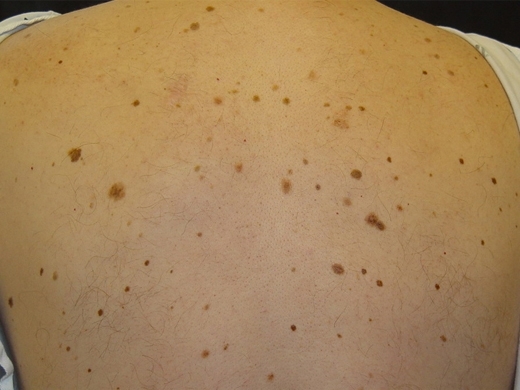 A mole is composed of melanocytes, the pigment making cells within the skin. 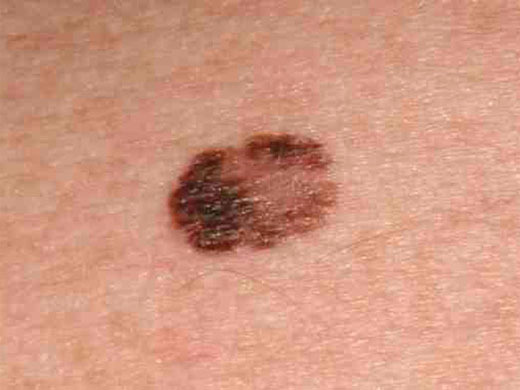 They are most commonly benign growths, but melanoma a cancerous growth can develop in a mole. 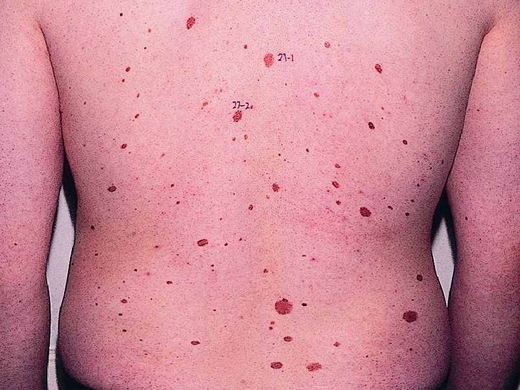 Although it is still unknown how moles form, it is believed to be a skin mutation that is then enhanced upon receiving the signal to produce more melanocyte. 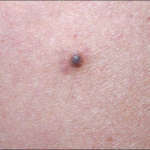 While moles can be unsightly or come up in inconvenient places on the body, they are usually not a problem. 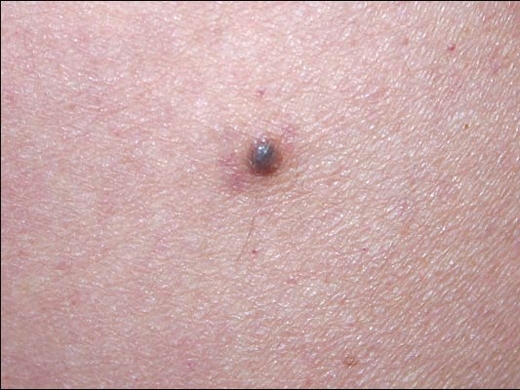 However, if a mole begins to change in appearance, it could be turning into melanoma. Should I have my moles looked at? 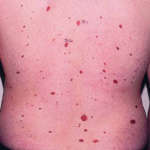 There are certain candidates who are at higher risk for potential problems resulting from moles. However, it is always a good idea to have at least one overall skin exam during adulthood and have moles looked at should they go through any changes. If you have a family history of skin cancer or if you yourself have had skin cancer in the past –it is important that you treat moles with more concern and be more cautious. Also, if you have upwards of 50 or more moles you should also take this more seriously. If you have a fair complexion, sensitive skin that has resulted in blistering sunburns, or a greater likelihood of getting freckles or sunburn more easily, you should discuss these issues with one of our dermatologists. What about an overall skin exam? At least once during adulthood, it is a good idea to have an overall skin exam. This enables a dermatologist to gauge your risk factor and see if there are any existing moles or melanoma to be concerned with. This also gives you a starting point so you can then notice if there are any changes in your skin or moles. Those who have a family history or have experienced prior skin cancer should have this type of examination annually. Of course, if you have had several issues with melanoma or skin cancers this should be done more often. It is recommended to perform monthly self-examinations and schedule annual visits to your dermatologist for full body skin exams. Could my mole be melanoma? 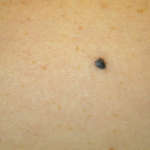 It is also better to be safe than sorry when it comes to seeing if moles are melanoma. While you do not want to be paranoid, you do want to be cautious. If detected early enough treatment options are often used with great success. Do not allow your fear to rule your actions and put off having a mole looked at, when it would be easier to treat an issue like this early on. 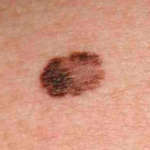 If you know you are at a higher risk, you should always have potential melanoma examined. This also includes those who have any sunburn throughout the course of their lifetime as each sunburn doubles your chances for melanoma. Melanoma is on the rise and has quickly become one of the fastest growing types of cancer. Presently men are at greater risk. 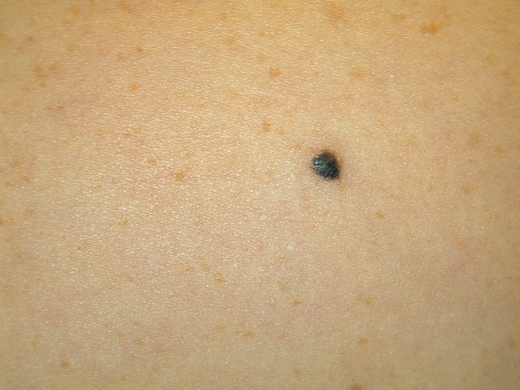 Moles can be easily removed via shave excision or punch excision. Your dermatologist can discuss these options with you. To schedule your overall skin exam, have a mole analyzed or to see about removal options schedule your appointment with one of our top ranking dermatologists immediately.